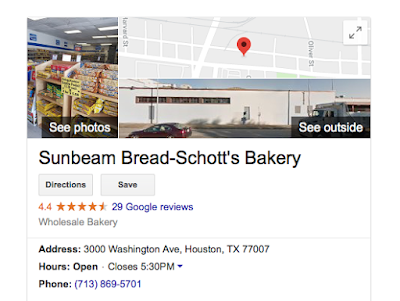 The Schott-Sunbeam Bakery on Washington Avenue features one of those factory stores where "day old" breads are sold at deep discounts. What makes this one so terrific is that they carry the Dave's Bread line and sell loaves, priced at 2 for $5, pretty much half of what you would pay in the grocery store. The loaves freeze beautifully, so you can plan to stock up. But, what I love the most are the delicious Dave's Epic Everyting Bagels. I keep them frozen and (here's my trick) bring them back to life by steaming them for a few minutes. They plump up soft and fluffy and are just the most delicious thing that you can imagine. Incredible bargain. And, you can also steam the regular bread if you prefer that to toasting it.